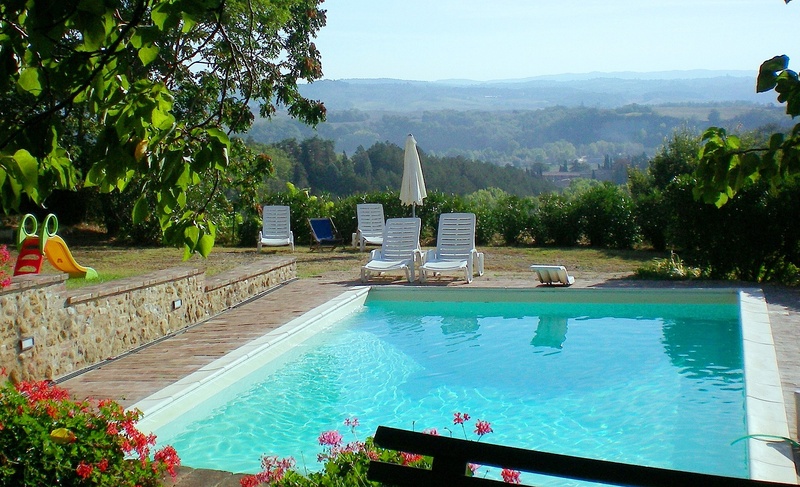 Giardino is a family run holiday home, part of a Middle Age Country Villa located in the heart of Tuscany, onlyfew miles away from the fascinating city of Siena. With a totally independent entrance through an iron gate, Giardino is accessed directly without going through the main house gardens. It features a large, private garden shaded by large and fragrant lime trees and adorned by bountyful English roses. The front door opens onto the large and comfortable living area, with a lounge with fireplace on your right and the dining room on your left. Through the dining, sits the independent kitchen, behind a beautiful glass door. Through the lounge sits a corridor hosting the 3 bedrooms and 2 bathrooms. 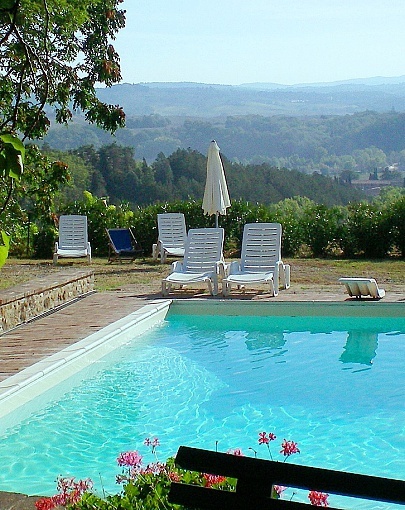 The house is ideal for 5 guests but can accommodate up to 5 adults, one child and a baby. WIFI included in the rent. Its position dominates the vineyards, castles andvillas of the Chianti and the original Crete, a unique moon like landscape. In the past, farmers used to meet here to dance and celebrate traditional fairs, and an aura of this harmony and happinessstill remains today. The fine and accurate restoration made to the old stables on the villa'’s ground floor offers today two wonderful apartments marked by typical Tuscan architecture, astonishing wood and terracottadetails, warm colours and an independent open area facing the garden, the panoramic swimming pool and the remarkable surrounding countryside. Silence, peace and comforts make of this place an oasis to relax and appreciate the numerous swallows and doves that every year chooses Enima to make their nests. Thanks to its strategic position, Giardino is the ideal place to start from to discover the treasures of an extraordinary land: only few kilometres away we find the city of Siena with its palaces, museums, the Campo square with the high Mangia tower, the numerous cultural initiatives, and the tradition of one of the most important horse race in the world: The Palio of the Contradas that every year on the 2nd of July and the 16th of August gives colour and animations to the entire city.